2018 has been a banner year for worrying about what Facebook is doing to us, and with our data. We’ve got an all-you-can-eat buffet of reporting on the platform: It’s data sharing with other tech companies, data sharing with political consulting firms and hiring of a PR firm to go after its competitors and critics. Naturally, when people don’t trust a thing the impulse is to stop using it. Quitting Facebook has become a meme — one that, research shows, some are actually following through with. Cher, by the way, says she’s one of them, pledging in March to quit Facebook, following revelations that Cambridge Analytica had improperly collected data on Facebook users. “I Believe ... There are Things MORE “IMPORTANT” THAN (emoji for money)"
“WONT USE GOOGLE, GETTING RID OF FACEBOOK ACCOUNT I DIDNT KNOW I HAD. WOULD GET RID OF TWITTER IF IT WASN’T 4 (heart emoji) OF YOU. THESE COMPANIES HAVE NO ALLEGIANCE TO, OR (heart emoji) OF ANYTHING BUT (money emojis). THEY MIGHT AS WELL BE CONSPIRING WITH RUSSIA TO DESTROY OUR DEMOCRACY. Several months ago, the Washington Post interviewed people who had tried to quit Facebook. Some succeeded, others hesitated. The consequences of leaving are not the same for everyone. One would-be quitter told the Post in March that she couldn’t bear to abandon all of the content on her recently-deceased mother’s account. A recent viral thread also noted that Facebook can be an efficient, less emotionally taxing way to share bad news with a lot of people. Others may rely on Facebook for jobs. The site can connect people into networks of support. A decision that can be liberating for some is devastating for others. So, if you’re tethered to Facebook, how do you live with it? Here are a few ideas. If you can’t delete Facebook, one thing you can do is work to make it harder for Facebook to track you on the internet. Mozilla, for instance, has a browser extension that essentially separates your Facebook habits from the rest of your online life, making it more difficult for Facebook to track you beyond their platform. The extension will require you to log into Facebook each time you navigate to the website — and in a separate “container” tab, which takes a little getting used to. But, if used properly, it could help automate some of the things you can do to minimise how much information Facebook is able to see about what you do outside of its platform. You can also go into your privacy settings on Facebook to turn off some of the ways in which third parties access your data. For instance, on the app settings page on Facebook you can see and revoke third-party access. This access encompasses, basically, any time you’ve decided to “log on with Facebook” to another service (which, by the way, you shouldn’t do). Also on the app settings page consider turning off Facebook’s ability to interact with apps, websites and games. But keep in mind that turning off this setting won’t completely nuke Facebook’s ability to track you across the Web. Also, if you can, delete Facebook and its related apps from your phone (this includes Facebook, Messenger, Instagram and WhatsApp), and just use Facebook on your desktop. It’ll help limit what Facebook can track on your mobile device. New York Mag’s Brian Feldman argued last week that logging off Facebook without actually deleting your account will achieve some of the things that would-be Facebook quitters are hoping for. Basically, the idea is that instead of keeping Facebook there, logged in and waiting for you on your browser and phone, Facebook becomes more like a store you have to make an active choice to visit. 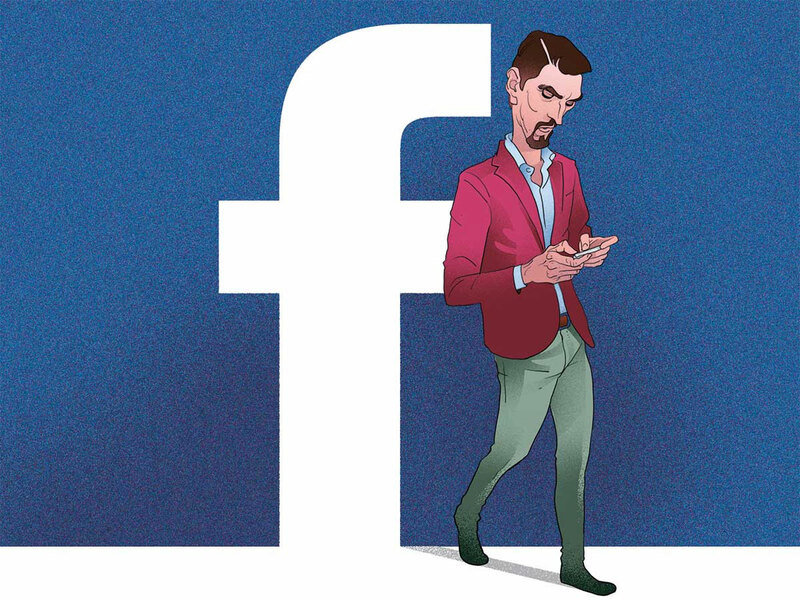 And beyond the potential epiphany of realising that perhaps you don’t need Facebook as much as you think, deliberately logging in and out of each session can help stop Facebook’s ability to track you. At work, I use Ben Grosser’s Facebook Demetricator extension to hide the numbers on timestamps, likes, and notifications on Facebook. Instead of, say, knowing that a post in my feed was published 20 minutes ago, I see the word “recently” or “a while ago”. As I wrote when I first installed the extension, the reduced amount of information on my feed helped me stop my habit of reloading Facebook every hour or so to see if there was anything new. In September, Grosser introduced a more drastic Facebook experiment, called Safebook. When installed, Facebook is still technically usable — but the extension will hide all text and visuals on the platform from your site. There are other ways to experiment with Facebook by blocking its ability to ping you back for more content. Byron Tau, a Wall Street Journal reporter, recommended two Chrome extensions on Twitter: News Feed Eradicator and Block Facebook. The first, as the name hints, hides your entire news feed from you. The other will block any URLs associated with Facebook. Abby Ohlheiser covers digital culture for Washington Post.